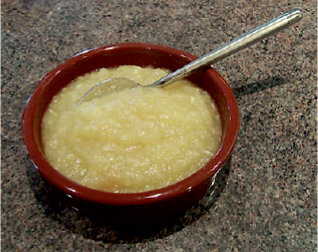 Tasty Apple & Horseradish Sauce - great with pork, duck and other rich, "fatty" meats. 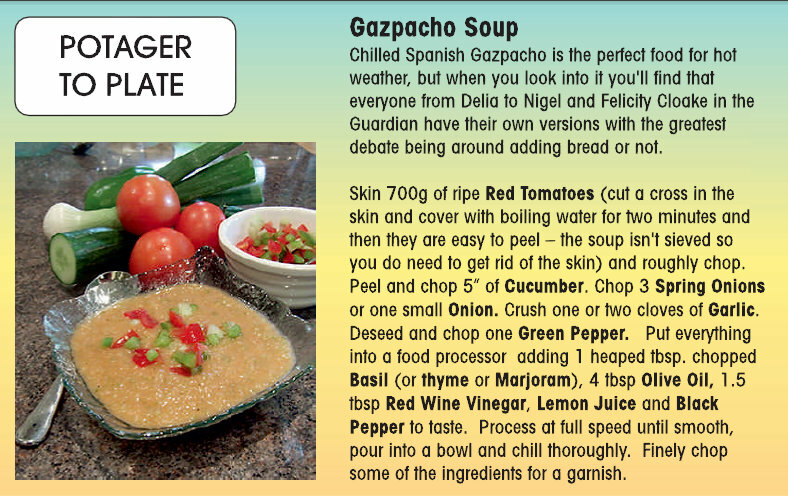 We’ve added a couple of new Tuscan Potager to Plate recipe cards for you this year. 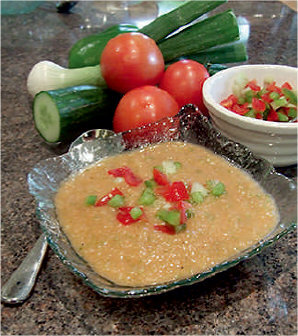 One features the Minestrone Soup recipe below and another for “Frittata”. Both recipes feature seasonal vegetables and are useful, quick and tasty standbys in our culinary repertoires. Heat olive oil in a large pan on a low heat. Add chopped onion, carrots, celery and garlic and cook for 10 mins. Now add the diced potato, courgette, green beans and tomatoes, season with black pepper and lemon juice and cook for a couple of mins. Add 1l of veg stock and simmer for @ 20 mins. Finally add your minstrone pasta and a handful of fresh, torn basil leaves and simmer until the pasta is “al dente”. Enjoy with crusty bread, oil/vinegar and grated parmesan cheese.